You can submit an order for a call or put, as well as an order for the underlying futures contract. 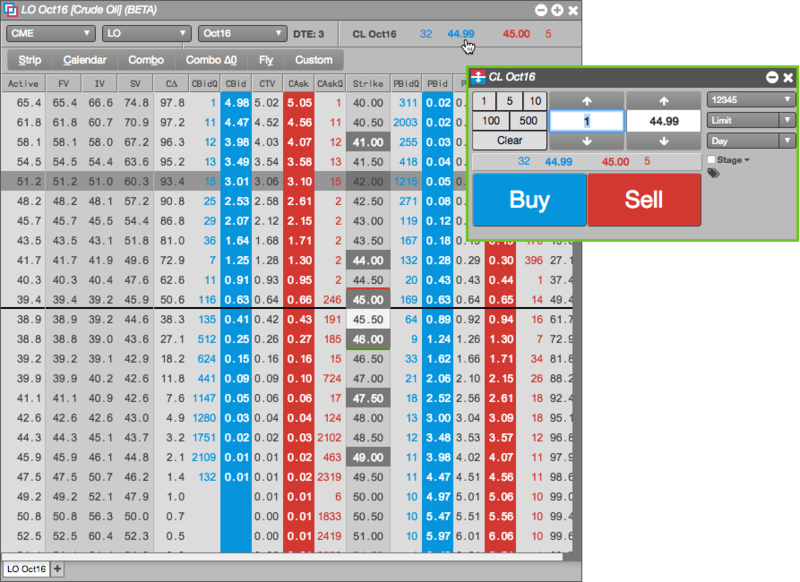 For options, click the bid or ask premium price or quantity for the call or put to open a floating order entry widget. 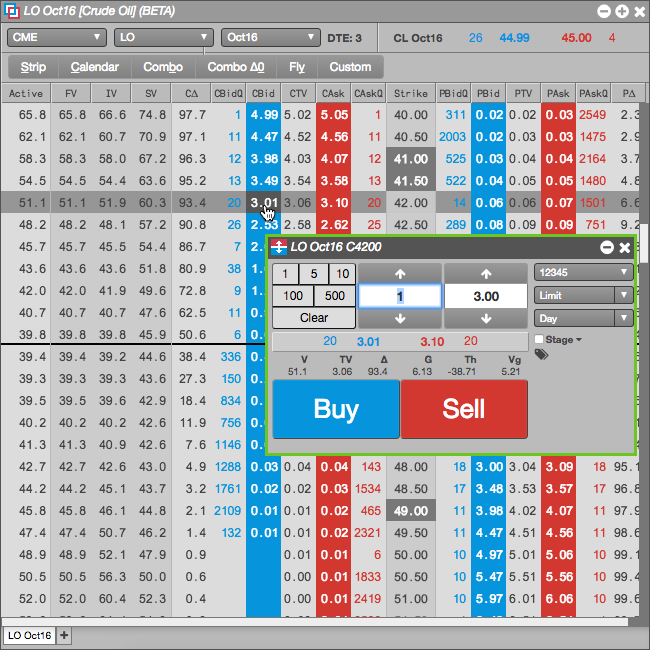 For futures, click the bid or ask price or quantity for the futures contract at the top of the Options Chain to open a floating order entry widget. Enter a price or quantity and select an account, order type, or TIF as needed. In the Order Ticket, click Buy or Sell to submit the order. In MD Trader®, click the Bid or Ask column at the desired price level.